First I want to post a disclaimer, the idea of “being rude” is all in perspective. And what is considered rude in one culture is different from another, as is from one gender to another. 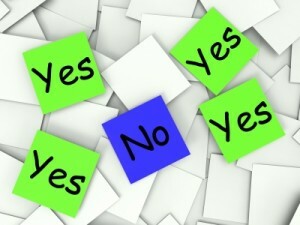 I want to also share that often times people can not just say no; they need to add a reason or justify why. Developmentally kids start to say no and impose what they want and don’t want and This stage has been labeled “the terrible twos.” I find it interesting that we are trained as children that saying no is not acceptable, in fact, it is “terrible:” Do as I say. Do not ask questions. Do not say no. Follow my directions and orders. I realize that there is more to it than that and there is often more exploration to this. And I will end it here for now. Next steps for exploration, if you choose… First play with saying no. Often times people are more comfortable doing this by themselves. Try different tones of voice, different shortness or length of the “O”, different accents. Think about toddlers and all the different ways they say it, try on how you imagine a man or woman may say it, a business person, a doctor, a cab driver, if there is a crisis, if someone else is listening or are very far away. Find someone you trust who will play with you. Let them know your are playing with saying no. Notice what happens for you when you ask, when you actually start saying, No.” Do you laugh? Ask these questions and more, by making your appointment today. Call me to find out about life coaching therapy in the Portland area. Photo is compliments of Stuart Miles at FreeDigitalPhotos.net. This entry was posted in coaching on February 26, 2016 by sparkfinder.